Yogyakarta 2D1N Mount Merbabu Hike + 1 optional day tour of Borobudur etc. I'm organising a 2D1N Mount Merbabu trek plus an optional 1 day tour on 3 Oct to Setumbu Hill for Sunrise , Borobudur , Prambanan Temple , Ratu Boko Temple for sunset . 30 Sep ( Sat ) : Singapore to Yogyakarta via Silkair Flight 0820 am . Arrive Yogyakarta Airport 0920 . Pickup from Airport to Mount Merbabu Trailhead at Suwanting Village ( 2 hours ) . Commence climb - 6 hours trek to campsite , set up tent for the night . 1 Oct ( Sun ) : Awake 3 am for summit climb . View sunrise . trek back down via Selo village route . Tour ends before noon . Reach Hotel . Rest . 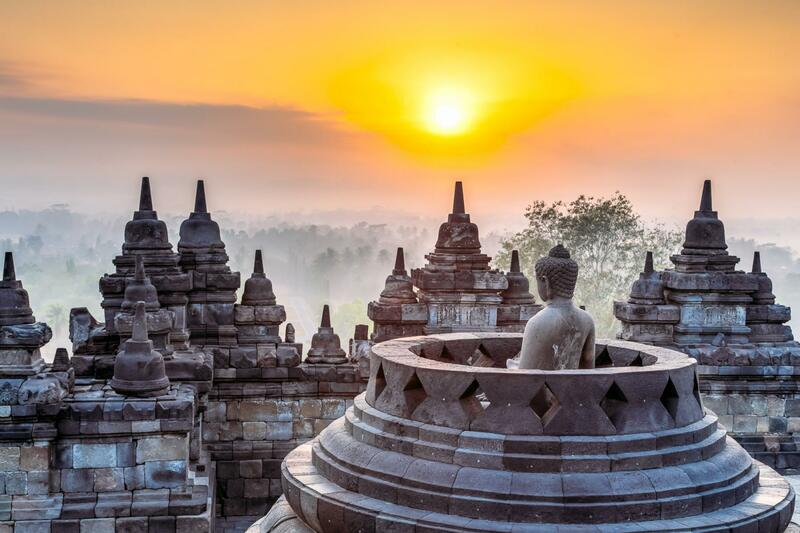 2 Oct ( Mon ) : Day tour : Sunrise view of Borobudur at Setumbu Hill - Tour Borobudur Temple , Prambanan Temple , Ratu Boko Temple at Sunset . 3 Oct ( Tues ) : Flight Yogyakarta back to Singapore . 10.15 am Depart , Arrive Singapore 13: 50 hrs via silkair . RSVP by : 26 June 2017 . The Day tour is organised with a local indonesian tour operator . Please make your own flight booking . I have tentatively booked Indoluxe Hotel Yogyakarta 2 rooms for 4 person for the 2 nights stay . If you wish to stay at this hotel let me know . You have the option of just joining the Mount Merbabu trek and depart thereafter at the end of the trek . You can also fly in via AirAsia Indonesia the day before and book your own hotel stay . Package excludes: travel insurance , all meals not mentioned , sleeping bag ( SGD 10 per pax ) , porter to carry personal belonging (SGD 30 per porter per day , maximum load per porter 20 kg ) , all expenses of a personal nature . Do drop me a message if you are keen or have any questions ! :) Tks Vee.